It's a deep sea dance party! 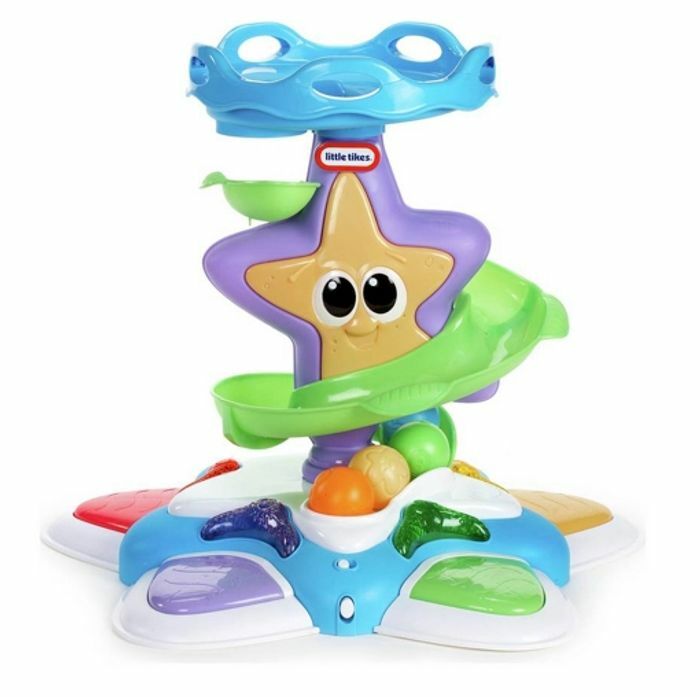 The Stand n Dance Starfish tower encourages Baby to create music and dance along. The light-up keyboard can be played by little hands when sitting, or by little feet when standing and dancing. Baby can use the curvy tower to pull up to standing position, then make the balls spiral out of control down the ball drop to chase. Hours of fun from sitting to standing, to . . . Dancing! Mode 1: Press or step on the keys to initiate lights and music. Mode 2: Chase the lights around the tower for crawling or walking fun! Easy grip handle to help child pull to stand and dance.